What is a West Virginia Living Will? West Virginia Living Will: What Is It? A West Virginia living will is an important legal document. You use it to explain your medical wishes. 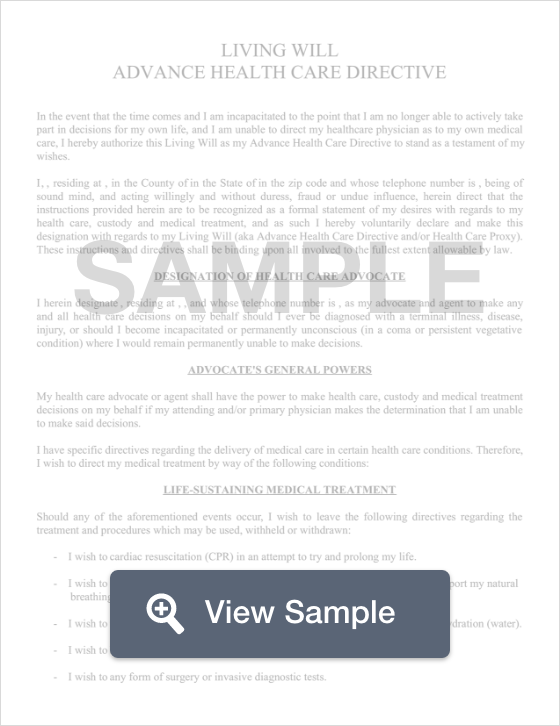 A West Virginia living will is consulted by medical professionals if you cannot voice your own medical opinions. A West Virginia living will is also used to name a representative to make your medical decisions when you cannot. A West Virginia living will must be signed by at least one witness or it must be notarized. § 16-30-4: West Virginia living wills must be created in writing. It must also be signed in front of a notary. Another important document to use when planning for the end of your life is a West Virginia last will and testament.